Thanks to our hard work and dedication to excellent customer service over the years, we offer services for septic systems in Savannah that are second-to-none. Septic systems are what we’re all about here at Degler Waste Services. If your property in Savannah, Georgia uses septic and you’re looking for a reliable professional to help you maintain the efficiency and functionality of your system, we’re the ones to call. When it comes to septic systems, we do it all. Whether you need us to come in and perform a routine pumping or fix your septic tank after it runs into a problem, we guarantee we can meet your needs with exactness. Regardless of what service you’re in need of, you can count on us to provide prompt and reliable service, affordable rates, and customizable options. We want you to know that we didn’t just start off being the place to turn to for septic system services in Savannah. Since 1965 when we got our start, we’ve worked long and hard to establish our client base and refine our services so they genuinely benefit each and every one of our clients. Thanks to our hard work and dedication to excellent customer service over the years, we offer services for septic systems that are second-to-none. At Degler Waste Services, we want to be the place you turn to whenever you need any maintenance or repair work done on your septic system. For more information about septic systems and our related services, get in touch with us today. We look forward to hearing from and working with you! 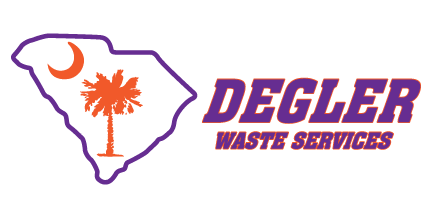 At Degler Waste Services, we offer high-quality services for septic systems in Savannah, Ridgeland, Wellford, Lyman, Spartanburg, Inman, Tryon, Landrum, Greer, Taylors, Greenville, Mauldin, Simpsonville, Travelers Rest, Pumpkintown, Lady’s Island, Bluffton, Hilton Head Island, Hardeeville, and Walterboro, South Carolina, as well as Georgia and Beaufort, North Carolina.